Our next appointment in our “schedule” was with Giacomo, a friend from Genova we met few weeks earlier in Outlook festival. 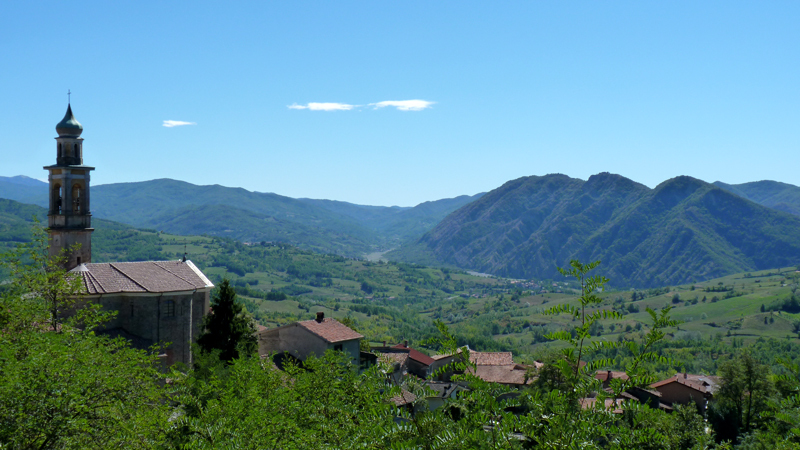 We wanted to be there for the week end, to have some proper time together, which meant that we had two days to cross the Apeninos, small mountains between Piacenza and the Ligurian coast. The ride was a fabulous one, through small old villages and vineyards. 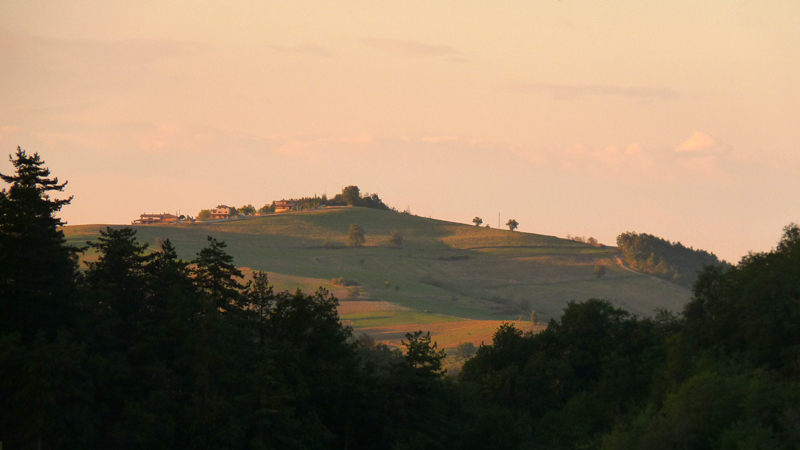 We cycled until sunset and stopped in the only town in the area, Varzi, for food and accomodation. We tried the same technique as the day before, but even with the help of the locals, we couldnt get a bed…you cannot always be lucky. With our new friends, we even tried to wake up the monk to see if we could sleep in the church, ut apparently, he was in his deep sleep. We then decided to go camping somewhere, even if it was getting cold. Few hundreds of meters after having left our guys, the cops stopped us on the road and asked our passports. 2 guys cycling at night lost in the mountains apparently looks suspicious. After a good 15 minutes of check with the central office, they gave us our passport back, and told us : ‘You’re travelling a lot, aren’t you?’. ‘Yes, we are indeed!’. 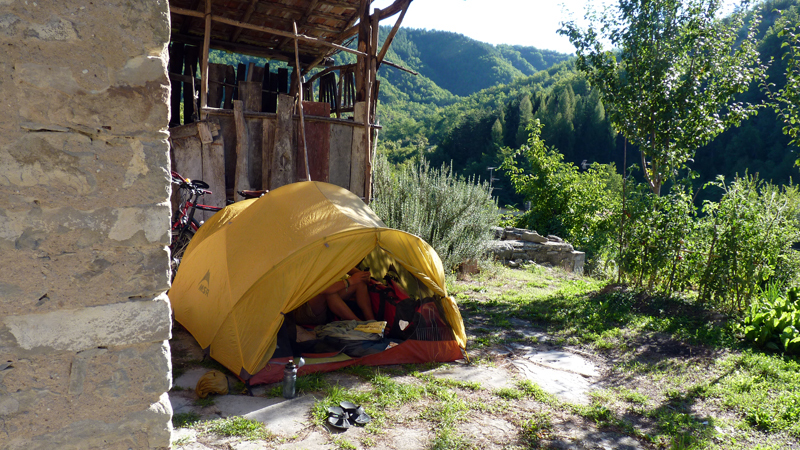 They let us go without even asking where we would sleep that night, so we kept cycling in the hills, where we found an abandoned farm to set our tent. In the morning, the old people living there were amused by those 2 guys with the bikes, and offered us coffee and biscuits, instead of moaning that we slept on a private property. 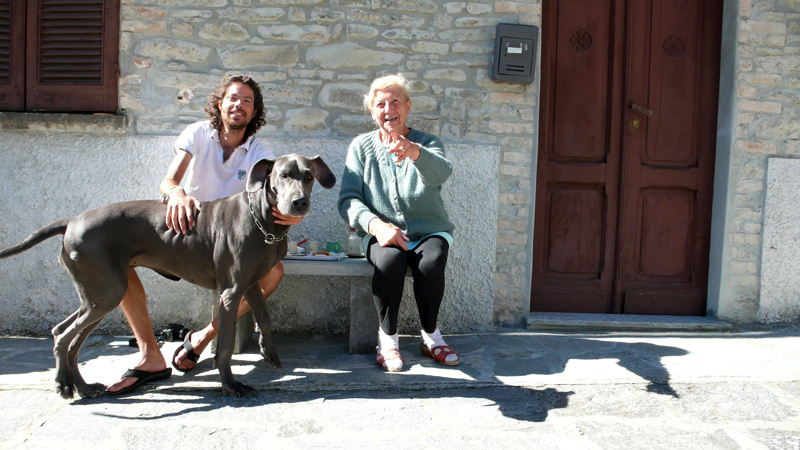 Wherever we are, we always find great people in the countryside. Day 2 in the mountains was as scenic as the first one, and gave us pretty long downhills -around 30 km in total-, and incredible landscape, as we could see the sea from far, far away…and next to it, huge snowy mountains. At some point, We were about to turn left, following our dear Google Maps GPS, when we stopped to ask a local if it was the right way to Genova. He told us we had to be crazy to go that way, as it goes up and down on unridable little mountain paths, while the road on the right was certainly longer, but much faster. We listened to him and didn’t regret to do so, as we cycled 30 km downhill on a nice road, under the sun. Many kilometers later, in the late afternoon, we got close to Genova. 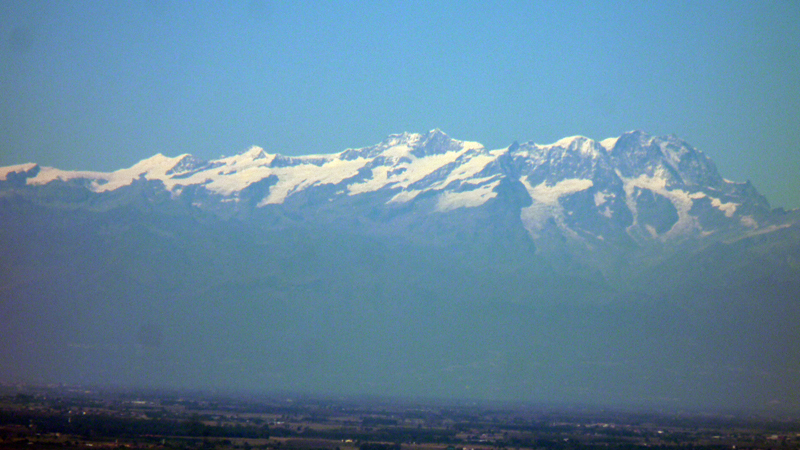 Je connais moins sa silhouette du côté italien, mais il est bien détaché des montagnes voisines.